On the last day of the three-day sale, Vivo is offering discounts on its V9, V9 Youth and more smartphones. The sale also offers cashbacks, freebies and other deals down to the last day. With only a few hours left before the Vivo Freedom Carnival Sale closes, the Vivo official online store is offering good deals on popular smartphones by the company. On the last day of the three-day sale, Vivo is offering discounts on its V9, V9 Youth and more smartphones. The sale also offers cashbacks, freebies and other deals down to the last day. Buyers using HDFC credit cards can avail 5 per cent cashback on EMI. The sale is also offering No Cost EMI up to 12 months. Reliance Jio users can get instant benefits worth Rs 4,050 under the Vivo Freedom Carnival sale. 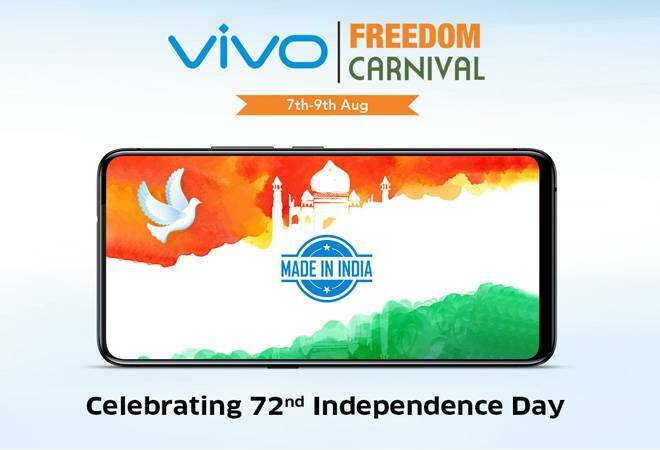 Under the Freedom Carnival sale, the Vivo V9 is available for Rs 20,990, and the Vivo V9 Youth is selling for Rs 16,990 after a discount of Rs 3,000 on each device. Vivo is also offering free Bluetooth earphones on purchase of Vivo V9 and Vivo X21, whereas the Vivo V9 Youth and Vivo Y83 come with a free selfie stick worth Rs 690. Vivo is also offering discount coupons up to Rs 3,000 on purchase of Vivo V7, Vivo V7+ and other Vivo accessories. The buyers can also participate in a free spin competition to win discount coupon worth Rs 500 or Rs 1,000 from Vivo, or Rs 500 coupon from BookMyShow. On the last day of the Freedom Carnival sale, Vivo opened flash sales where the Vivo NEX and Vivo were sold for Rs 1,947. The last day of the sale also saw Vivo XE100 earphones and Vivo USB cable available at Rs 72.